From Mariembourg on there is a cycling trail called Ravel 2 on a desaffected railroad, so with gradients of maximum three degrees. You can follow this carfree trail for more than hundred kilometers, partly along the tow-path along the river Maas or Meuse, till Tienen or Tirlemont in Flanders. You can use the 9 km (6 miles) long carfree cycling track on the false-flat of the desaffected tramway through the woods of the Ardennes between the villages Olloy-sur-Viroin and Oignies-en-Thiérache. 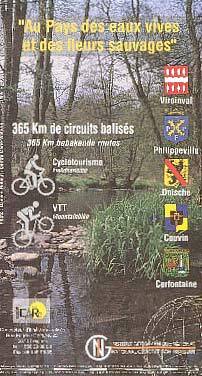 On the territory of Viroinval, Philippeville, Doische, Couvin and Cerfontaine there is a network of signposted cycling trails.
. The cycling map based on the topographical map of 1/50.000, is available at La Calestienne. If you want us to send you such map, you can pay 10 € on our bancaccount 789-5685808-74, indicating "cycling map". Between Dourbes and Treignes you can go down the river Viroin (20 km or 12,5 miles). Canoes and kayaks are for rent at café-restaurant "Le Montjoie" in Treignes (0032(0)60/39.92.24.). You can go swimming in the Aquacentre at Cerfontaine or in the swimming pool of Rocroi, both at more or less 25 km (15 miles) from La Calestienne. The autocircuit of Chimay mesures 4,5 kilometer, including some long straight stretches and four chicanes. 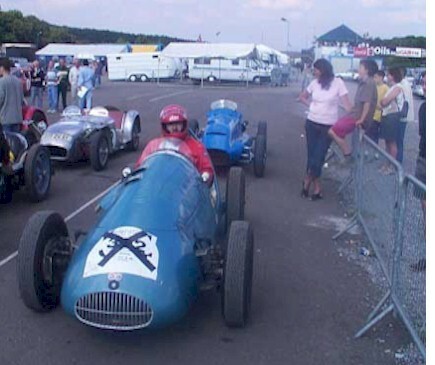 Special car races take place each year with antique racing cars and historical motos. You can contact the organisation at 0032(0)60/21.33.32. For outdoor karting you can consult the Karting des Fagnes which is located at the industrial area of Mariembourg. The 1.4 kilometers long circuit can be devided in a seperate 765 meters long testroute for kart-owners, and a 600 meters long circuit for amateurs who can rent karts on the spot.